In finance, a loan is the lending of money from one individual, organization or entity to another individual, organization or entity. A loan is a debt provided by an organization or individual to another entity at an interest rate, and evidenced by a promissory note which specifies, among other things, the principal amount of money borrowed, the interest rate the lender is charging, and date of repayment. A loan entails the reallocation of the subject asset(s) for a period of time, between the lender and the borrower. We work closely with the large number of reputable banks and NBFC’s like ICICI Bank, HDFC , IDFC Bank , Deutsche Bank , Standard Chartered Bank , Indiabulls , DHFL , PNB Housing , TATA Capital ,Shriram Housing and many other financial institutions in the country. 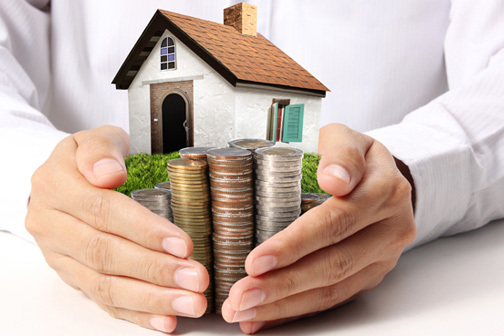 With this collaboration, it is very helpful for customers to purchase property loan completely in a trouble-free way. We help you find the best LAP deal based on your requirements and your financial commitments. Our comparison helps you compare the LAP deals offered by various renowned banks and Nbfc’s in the country. A personal loan refers to money that is borrowed from a financial institution, for personal (not professional or business) use. In opposition to larger and long-term loans, personal loans are taken into relatively short to medium terms. Generally personal loans are used to pay for one-time or short term expenses where a borrower (the person who is getting the loan) doesn't normally require disclosing the specific reason for the loan. This type of loan is used by many to resolve their current financial needs. A personal loan is taken for tenure of one to five years. Also these require lowest formalities and no collateral or security. It is a type of unsecured loan which can be availed on the basis of various criteria. Level of income, employment history, credit score and scope for repayment are those specific criteria. Considering these criteria and lender, the APR (Annual Percentage Rate) of personal loan can be anywhere between 11.29% to 35%. Many times businessmen find themselves in need of credit to expand or fund their business for multiple reasons. They need the funds to buy some equipment, working capital gap ,payment to creditors, pay off business dues, pay employee's salary, to expand etc. Businessmen can't put the funds in line from their personal savings. Thus they opt for business loans. The business loan works as the perfect financial aid for such situations. Taking a business loan is always a safe and easy way to tackle your business related financial needs. You can also apply for a business loan if you want to start a new business. The terms and conditions to avail such a loan are different than the loan taken for already running business. Also each business is different in various aspects thus it requires different documents and is applied to different criteria. That's why banks and NBFCs offer customized business loan plans as per the requirement of applicant/s. These plans are applicant/s centric and made with keeping financial alternatives in lure. Banks and NBFCs also offer special loans for women entrepreneurs. They are customized business loan plans for women to cater their needs and give them a chance to build a competitive business in the market. Why Chose Rg Consultants ? We have developed an efficient, smooth and easy process for our consumers to get a personal loan. Our easy to use online procedure allows consumers to apply documents quickly. Our highly proficient Loan Calculator also guides the consumers to embark on a hassle free process. We value our consumers and are always on our toes to give them benefits of our expertise. Applying for a personal loan with us, gives you a chance to avail the best offers and deals from our partner banks and NBFCs. You can compare interest rates, offers and services on our online portal. This will guide you to make the right choice and choose the right lender for your loan as per your budget. We, at RG Consultants understand the value of your documents and keeping them safe and private. Your loan applications are processed electronically with complete privacy and transparency..